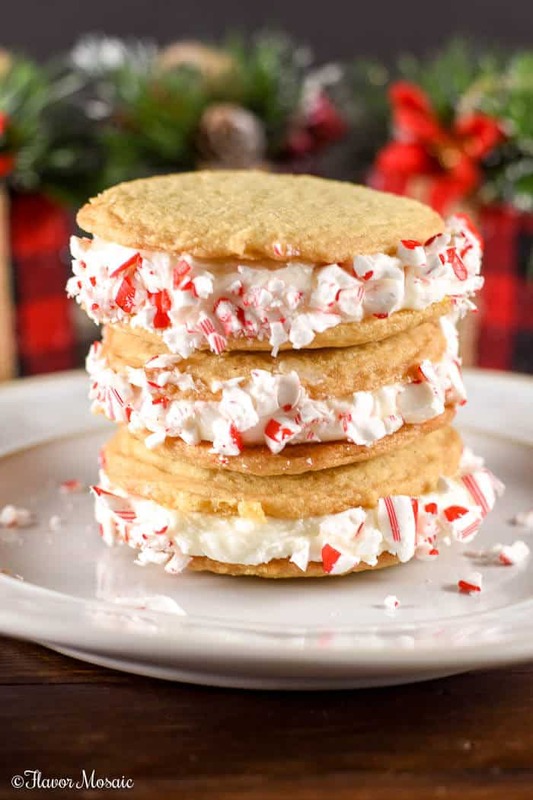 Peppermint Sugar Cookie Whoopie Pies are an easy, sweet, fun festive dessert made with frosting between two sugar cookies and rolled in crushed peppermints. I love holiday baking. I love to put on Christmas music and start baking cookies. There is something happy and therapeutic about it. That is why many people call it baking therapy! In many homes, holiday baking is a family tradition passed on from generation to generation. While my Mom worked full-time and had 5 kids, she did not have much time for baking. However, our neighbor did. She would start before Thanksgiving and baking, cookies, pies, cakes, and everything in between. For holiday parties, she had multiple tables of baked goods for people to select from. That is why her house was the most popular with all the neighborhood kids. My older sister was the next to take up the baton of marathon holiday baking. Like our neighbor, she baked and baked and baked until she had filled up about 4 big tables with holiday sweets. Yet she never ate a bite! I started baking in recent years because prior to that I was too busy with work. I’m still busy but have more flexibility now. I do love to bake. I don’t do the volume that my neighbor or older sister did but I enjoy baking cookies for our annual cookie exchange party or for a holiday party. I also like to give them as gifts to friends and neighbors. However, with our busy schedules, I don’t always have time to bake from scratch. 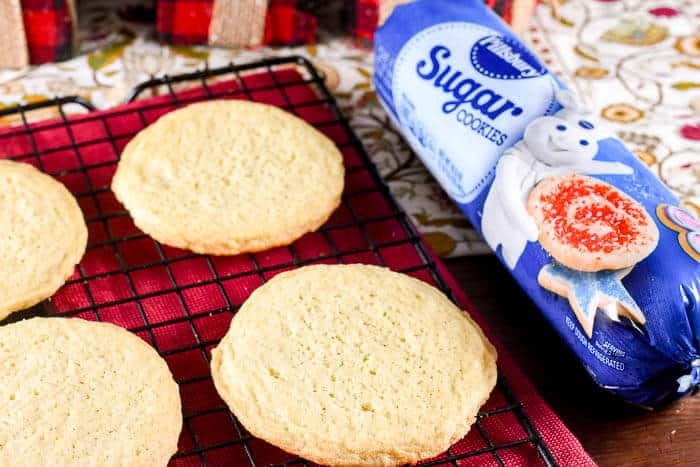 That is why I keep Pillsbury Sugar Cookies on hand for baking to save time. It is a great shortcut and they are delicious! 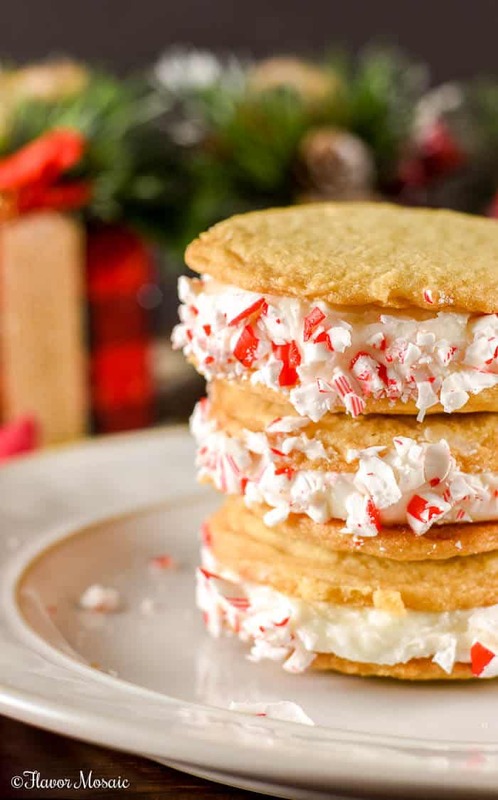 I used the Pillsbury Sugar Cookies to create these festive Peppermint Sugar Cookie Whoopie Pies. 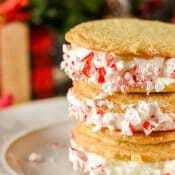 They are fun sugar cookie sandwiches filled with buttercream frosting and rolled in crushed peppermints. To me, nothing says the holidays like peppermints. They are so fun and festive. I took these Peppermint Sugar Cookie Whoopie Pies to a friend’s holiday party and they we were a hit. I did not have any to take home because they were all gone. These look fancy but are super easy to make. I found all the ingredients at Walmart. 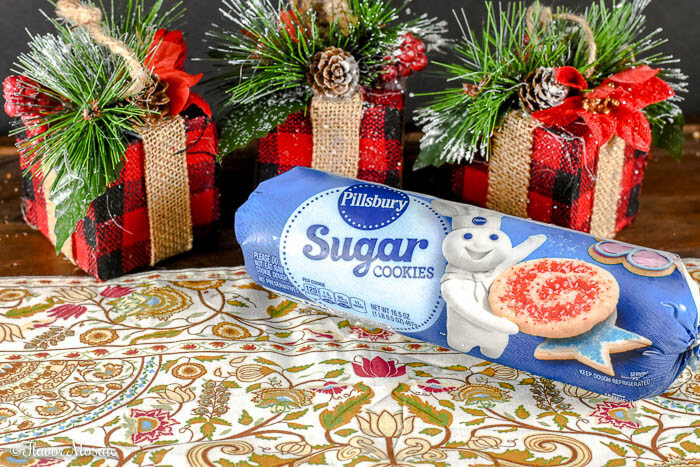 So before you head to a party, stop by Walmart and pick up some Pillsbury Sugar Cookies to create your own holiday masterpiece! Preheat the oven to 350 degrees F. Spray a cookie sheet with cooking spray, or cover it with parchment paper. Bake the Pillsbury Sugar Cookie Dough per package instructions. Remove from oven and let cool. In a medium bowl beat together the softened butter, powdered sugar, and vanilla. Add milk if necessary to thin out. Spread the frosting onto a cooled sugar cookie. Top it with another sugar cookie. Place the crushed candy canes on a plate. Roll the Whoopie Pies in the crushed peppermints.